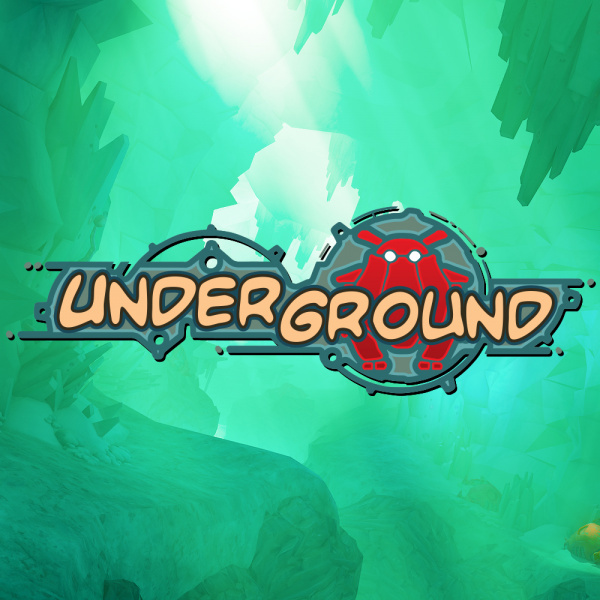 It's not often that games have a professional, legitimate use outside of entertainment, but in the case of Underground that's exactly what you get. Not only is it a puzzle game, but it is also designed to teach the skills required for laparoscopic surgery, more commonly known as keyhole surgery. 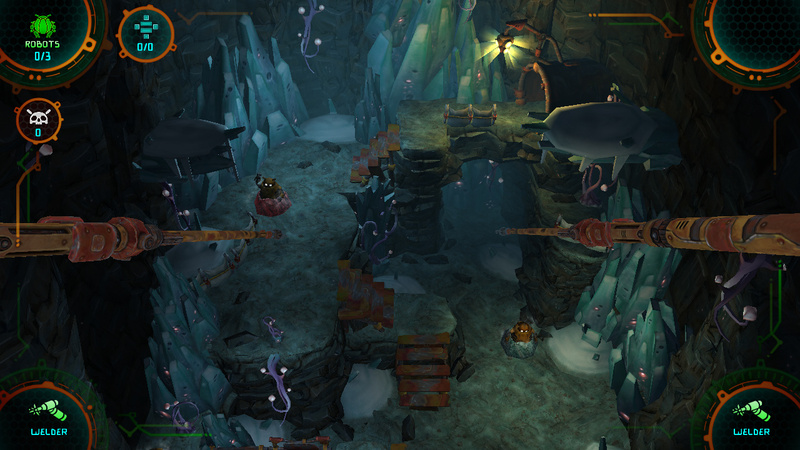 Educational tools are all well and good, but does it stand up as a game? 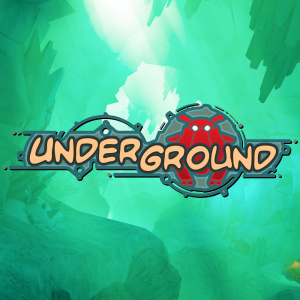 Underground takes place where you might expect – underground – but not a lot of backstory or heavy details are given about the location or the world in which it exists. This is largely due to the fact that the story is entirely portrayed through the use of dialogue and sound effect-free cutscenes; these rely on the animation and beautifully composed score in order to tell the audience what's going on, and blimey does it manage it. This sort of storytelling is very easy to get wrong, but Underground does a fantastic job of keeping the player engaged with a story that spells nothing out to them – literally. 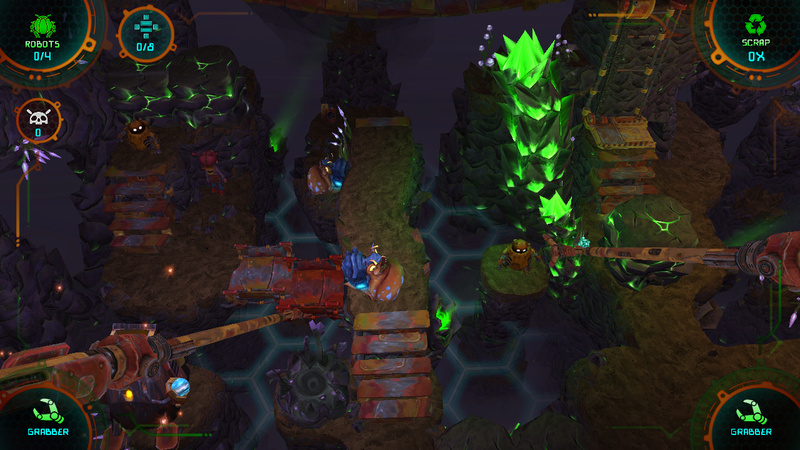 Once you get past the initial cutscene, you'll realise that you've taken on the role of one of the many robots that dwell in this underground land, specifically one that has taken it upon itself to guide its brethren around the twists and turns that plague their homeland; you do so by using a vehicle with two notably long extending arms. 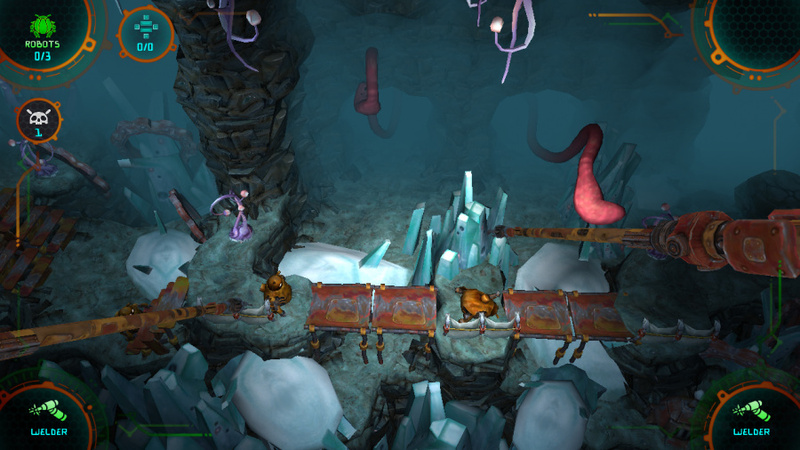 Using this device you break barriers, place bridges and grab a myriad of items in order to move them to their correct location, but despite having two arms at your disposal the game doesn't force you to use them simultaneously straight away, which is a nice gentle way to introduce newcomers to the unique control method. When you are eventually required to use arms akimbo you'll be facing the world's first boss, which is a massive creature with dozens of tentacles hell-bent on crushing your friendly robotic buddies. As terrifying as this may sound, it's actually very well implemented, and although it's challenging it isn't overwhelming. As the game progresses more of the plot unfolds and the tasks become increasingly difficult to complete perfectly, and you'll likely lose one or two of your robotic companions through poor decisions or silly mistakes - it all comes with the territory. It's genuinely surprising how engrossing the storyline is despite its simplicity and lack of dialogue, and it's part of the charm that envelopes the core gameplay. The GamePad is used to control the game – as the touch screen is required to switch between different tools on each arm, with these being controlled with the two analogue sticks – and there is no other support for standard controllers. There is, however, the option for using two Wii Remotes with Nunchuck accessories simultaneously – when placed inside a proprietary accessory created specifically for this game, these can be used to mimic performing keyhole surgery movements. We were unable to try this feature out, but we're more concerned with how the game plays as a means of enjoyment rather than medical training. There are some shortcomings within this title, but most of them aren't too troublesome. Some of the menus and text boxes lack a little bit of polish, and some of the models clip into the environments on occasion, but the biggest issue is that sometimes the robots you're supposed to be guiding can't decide which route they should take. This can cause one or more robots to simply wander back and forth between two nondescript points, refusing the progress. You can work around this by making the path you want them to take longer and closer to the goal, thus being a more 'appealing' route for the robot(s) to take, so it shouldn't stop you from enjoying the game. These seem to be very infrequent issues, but are worth noting. It's good to know it's decent after it's announcement popped up from no where a few weeks ago. Any chance that this is coming to NA? I used to love the Wombles, Orinoco was always my favorite. This game sounds great (even if it doesn't actually have Wombles in it) and I'd definitely pick it up if it releases in NA. "The US market is our next target: we will definitely release there. It is important for us as there are many medical institutions there that have expressed interest in using the game for training purposes. We're getting ready for US lotcheck and aim to pass it asap." Was interested in this but it's too expensive. @AlexOlney #starstruck Great! Definitely interested in getting this one. Great review. I hope this gets released in the US soon looks sounds fantastic . @MussakkuLaden It's only forever...Not long at all. Ahh, The Labyrinth is my favorite movie! Why isnt this on the 3ds? does anyone buy wii u eshop games? can developers not develop for it? @TheNESLink Really? i tried watching it the other day for the first time since i was a kid, jennifer connoly is kinda a stuck up female dog.